HomeKCS BlogAir ConditioningHow Often Should You Replace Your Air Conditioner and Furnace? 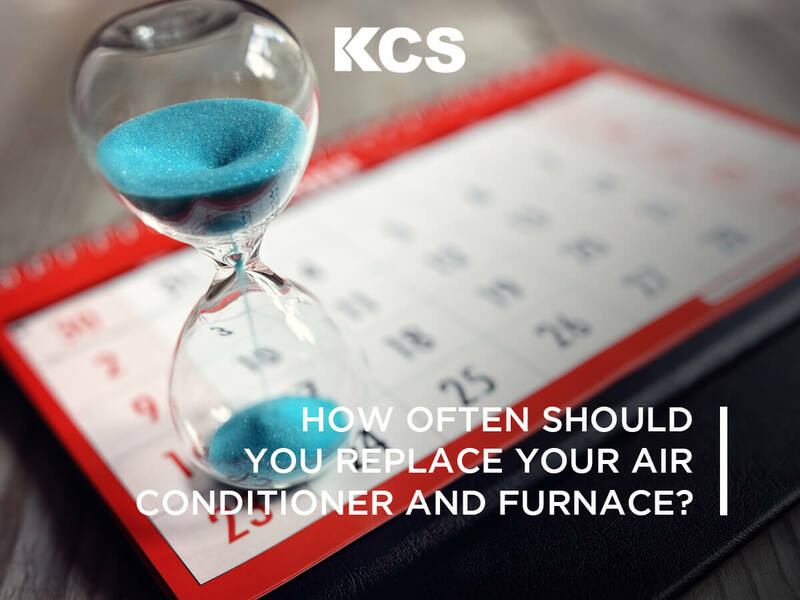 Many homeowners, new or old, find themselves asking “How often should I expect to replace my air conditioner and furnace?” Some dread the thought of the costs associated with purchasing a new air conditioner and furnace along with hiring a professional to install it properly. This information is imperative since you want to replace it while you have the funds, not when one or both quit working out of nowhere and you don’t have the funds. This would put most in a situation they’d rather not be in, such as having to take out a loan, borrow from friends or family, deduct from savings, or worse, not be able to make the necessary purchase and afford the installation. Don’t worry, however: in this article, we’ll go over some basic advice to avoid these situations. First, you’re not alone. These are some of the most enduring questions in all of HVAC contracting. When should a customer repair aging equipment, and when should one replace the entire system? The many advancements in technology have prolonged the life cycle of almost every product in the industry, while at the same time it’s creating a need to replace equipment more often in order to take advantage of the most efficient systems available in the marketplace. As efficiencies increase, operational costs decrease, and homeowners become more aware of the importance of HVAC equipment, a growing variance has emerged between the life expectancy of equipment according to contractors and the customer’s expectations of their equipment. HOW LONG SHOULD A SYSTEM LAST? According to Climate Control Technologies in Glendale, California, there are many factors that go into determining how long a system should last. It varies based on run-time hours per day, proximity to corrosive contaminants, how well the equipment has been maintained, whether any major repairs or retrofits have been made, and whether the equipment services mission-critical spaces and can’t afford to break, according to professionals in the field. Based on these variables, they see a lifetime range of 10-30 years, with 20 years being the average. There are also differences depending on exactly which piece of equipment is being considered. As a consumer and professional, I expect furnaces to last 20 years, said one professional in the field. Air conditioning units, because they are outdoors and subject to the mercy of the weather, typically have shorter life expectancies of 15 years. Most professionals agree their definition of ‘end of life’ for any appliance is when the equipment has been in operation for more than two-thirds of its expected life and is in need of repairs that exceed 25 percent of the full replacement cost of a new unit. Additionally, if repair parts are no longer available or some component, such as refrigerant, has or will become obsolete, as it has in the past, the equipment most likely will need replacement. A properly installed and sized heat pump/cooling system with minimal maintenance should last 15-20 years. According to professionals in the field, gas furnaces should last even longer. Gas furnaces that are properly sized and installed with little maintenance should last 20-30 years. Oversized equipment is going to fail sooner. The application, sizing, and maintenance are all major factors for how long a system is going to last. Additionally, there are many other factors that should be considered. Homeowner behavior has an effect, as well. Are they frequently opening the door to the outside? Is the thermostat continually being changed? Environmental issues, such as salt air near coastlines or the amount of volatile organic compounds (VOCs) introduced to the indoor air via air fresheners, personal hygiene products, scented laundry products, etc., all play a role in the equipment’s performance and life expectancy. So be sure you have the properly sized equipment for your home. Bigger is not always better, especially in this case. A lot of issues arise from the on-off cycling. For air conditioning, the start-up period is the hardest for the compressor. Lubrication is not as good at as it was when first purchased, and some oil that gets pumped out takes time to return. Initial electrical current is high for most motors, other than the newer, electronically controlled ones, where the controls prevent this. For furnaces, the temperature extreme differences between off and on cause expansion and contraction of the heat exchanger, which places more stress on it. So, technicians tend to look more at cycling, starting and stopping, as a factor that could shorten the equipment’s life. Proper sizing is critical due to this effect on cycling. Units with newer components and controls may last longer because of this — if their electronics last. HVACR systems are harsh environments for electronics. While determining the best estimate for life expectancy for systems is difficult enough on its own, the issue is further exacerbated when the location is taken into account. In a coastal/subtropical environment, there’s a much shorter lifespan due to the variety of particulates from saltwater, sulfur, and chemicals used when the residential communities were once tomato fields and orange groves, according to many professionals in that area “We tend to see eight to 14 years, depending on where the home sits and how well the system is taken care of. We must also factor in that we cool for 2,800-3,000 hours a year and the miles add up quickly. Unfortunately, for techs, plenty of their customers are from up North and they have the same expectations for their a/c systems down here.” Said one company in Florida. Even if, and when, contractors give customers an honest assessment of how long they can expect a piece of equipment to reasonably last, many tend to push those limits to the max. Differences also exist between different generations of customers. All owners, professionals, technicians agree and believe consistent maintenance has a substantial impact on a piece of equipment’s life cycle. And, when it comes to maintenance, they believe quality always beats quantity. Proper and complete testing and checking could easily increase the life expectancy by 25 percent or more. Some compare it all to keeping a vehicle on the road for years at a time. Keeping things clean and charged will always prolong the life of the equipment, just like it would for your vehicle. Vehicle owners choose their mechanics carefully, and they should do the same when it comes to their HVAC equipment. As you can see, there are many factors that can determine the life expectancy of your air conditioner and furnace. 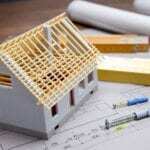 Environmental factors and regular maintenance place a large role on when you should expect to replace them. Furthermore, there’s a lot of fraud involved. When going for maintenance, always check reviews, and the rates of competitors to avoid being massively stiffed. If your equipment is several years past its prime, yet still appears to be running fine, understand that it may go out at any time due to an unforeseen reason. The next piece of equipment you purchase, try to get one that’s best suited for your area, needs and uses. After all, who wouldn’t want to save themselves time and money? I’m glad that you explain how properly maintaining your air conditioner and furnace can help the equipment last longer. Since this is the case, it would probably be a good idea to hire a local contractor for regular furnace or air conditioning maintenance. Hiring professionals could ensure that they get the necessary care to prevent large repairs and to help them last longer. When choosing one, it might help to research local contractors by going online so you can learn about their experience and methods to determine which one can best care for the type of equipment you have. One thing is for sure though, that if you have your unit well-maintained every month, it should serve you for many good years.